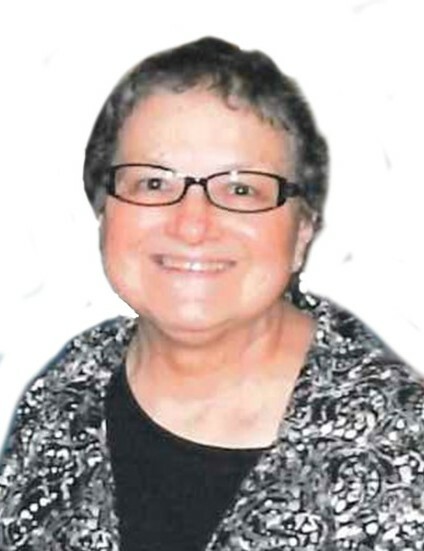 Beverly “Bev” (Locke) Calvert, 66, of Hannibal, MO passed away at 9:34 a.m. Tuesday, January 15, 2019, at her home. Funeral services celebrating Bev’s life will be held 10:00 a.m. Friday, January 18, 2019, at the First Christian Church in Hannibal. Pastor Steve Barker will officiate. Burial will be in the Grand View Burial Park. Visitation will be held 4:00 to 8:00 p.m. Thursday, January 17, 2019, at the Smith Funeral Home & Chapel. Beverly was born on September 4, 1952, in Hannibal, MO the daughter of Billy Eugene and Marjorie Sue (Goe) Locke. She was united in marriage to Tom Calvert on October 28, 1973, at Hydesburg United Methodist Church in rural Hannibal. In October of 2018, Bev and Tom celebrated their forty-fifth wedding anniversary. Survivors include her husband, Tom Calvert of the home; children, Audrey George and husband Tony of Lee’s Summit, MO and their children Darilyn and Tate George and Blake Calvert and wife Kristian of Hannibal, MO and their children Myles and Paige Calvert; father-in-law, Weldon Calvert of Quincy, IL; sisters, Phyllis Thomas of Murfreesboro, TN, Gayle Stapleton and friend Ray of Arlington, TX and Marjorie Biddle and husband Steve of Columbia, MO; and numerous nieces, nephews and cousins. In addition to her parents, Bev was preceded in death a brother Ronnie Locke, mother-in-law, LaVerne Calvert and sister-in-law, Ruth Chambers. Bev had previously worked in food services for the Hannibal Public Schools as a baker. She also was a caretaker for her parents through their elderly years. Bev was a faithful member of the First Christian Church in Hannibal. She was active in Disciples Women’s Fellowship, Prayer Shawl Ministry, Friendship Sunday School Class and enjoyed singing in the praise band. Family was Bev’s pride and joy. She was a loving wife, mother, grandmother and sister. She enjoyed being active in her children’s school events and watching them excel in sports. This carried through to her grandchildren and she was always there to support them and cherish those moments. Wednesday lunch at McDonald’s with the retired cafeteria workers and Friday Night Dinner Gang were special days she enjoyed with her friends. Bev had a passion for her flowers. She could grow anything from huge Elephant Ears to beautiful Iris’s and Hibiscus. Pallbearers will be Bev’s loving family. Honorary pallbearers will be Bev’s extended family and friends. Memorial contributions may be made to the Community Loving Care Hospice, James E. Cary Cancer Center or First Christian Church Living Memorial Scholarship Fund, in care of the Smith Funeral Home & Chapel.